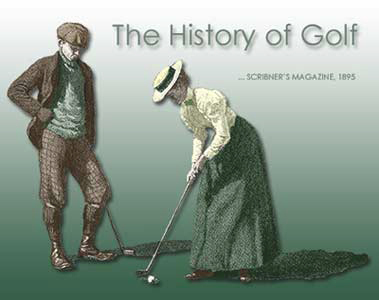 Our story begins in the mid 18th century when golf was then known as “goff” and the equipment consisted of 5 clubs, four “long nosed woods” and one iron. Golf balls for the well-to-do were comprised of chicken or goose feathers, leather, and a process that produced a softer ball, allowing for more control and revolutionizing the game, which many believed would not have survived without this innovation to the ball. Most golfers of this era were limited to pebbles, stones and wooden ball, dating back to the game of “Paganica,” an earlier form of golf played during Roman times. Dutch records indicate that the feathery ball was introduced to Scotland in the 1480’s because of the popularity of the game and the ball. In 1486, toll registries indicate that a merchant named Richard Clays paid handsomely for a barrel of feathery balls to be imported to Scotland. This continued until the early seventeenth century. The popularity of the game brought men of all social levels to the links, which were usually public grounds consisting of carriage rides, picnics and were generally, full of family activities, of which the game had to succumb to. The hazards presented by the conditions of horses and other determents to the conditions of the grounds on which they played, were accepted by the gentlemen who played the game and procedures to deal with various situation were common knowledge. The game, up until now, had been played at gatherings of friends and those of greater means and was played for small wagers between friends and business acquaintances. As time went on the more distinguished gentlemen of Edinburg began to separate themselves from the common people in the community and wished for the same distinction on the links. The men created “Match Days,” which became a regular occurrence around Edinburg. Meanwhile, golf was also an accepted and a growing focus in the Scottish society of Leith and Bruntsfield. Leith was becoming known, in the gentlemen’s society, as the focus of Scottish society and the ever growing game of golf. As time went on, men of like minds became organized into the first official clubs and societies. One of the earliest, the Royal Burgess Society, is thought to have begun in 1735; on a five-hole course consisting of holes in length of; 414, 461, 426, 495 and 435 yards known as Bruntsfield links, where the first members played golf. In the mid-eighteenth century, golf was played in these individual matches on match day. The need for competition in which all could play and compete against each other was growing amongst the gentlemen golfers. In March 1744, the gentlemen golfers of Leith links petitioned the Edinburgh Council to make funds available and furnish them with a prize. In turn they would organize a competition. In due course, the Council authorized the city treasurer to make funds available for a silver club to be made, the first prize in golf. The only condition was that the silver club could not exceed fifteen pounds in value. Thank you for visiting my blog and for taking the time to leave a comment.